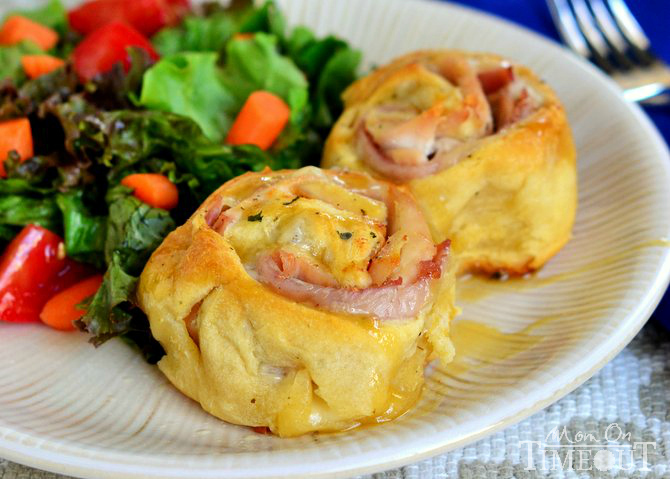 Make dinner easy and your family happy with these delicious Chicken Cordon Bleu Crescent Rolls! 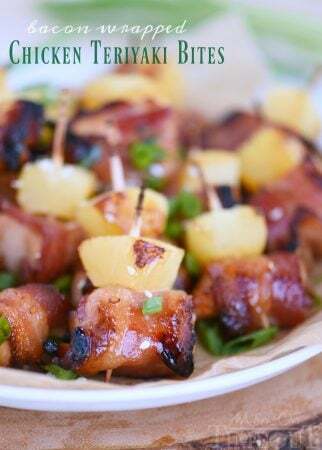 Just a handful of ingredients and about 20 minutes, and you’ve got a fantastic and satisfying meal on the table! Reece: I know what I want to be when I grow up! Me: Oh yeah? What’s that? Reece: I want to be an engineer. But not like an engineer like you and daddy. I want to be a real engineer – a TRAIN engineer. Me: Wow! That would be cool! Reece: Yeah. And I wouldn’t need to learn that much because I already know A LOT about trains. I mean, I’ve watched the Polar Express like at least 100 times. As much as I think I know about cooking, I’m always looking for new, creative, delicious, and FAST dinner options for our family. Sure, I’m a stay-at-home mom BUT I also work from home which can get a tad tricky from time to time. No matter how much time I think I have there never seems to be enough when it comes to dinner. Chris gets home between 5:30 and 5:45 every night. Soccer practice starts at 6. And it’s not next door. Anyone else doing the math here? I am officially a super-fan of this recipe and plan on making as many variations as my creativity allows for in the future. These rolls were gobbled up SO fast and I didn’t hear any complaints. That’s rare. I made a honey-dijon sauce for the adults that also doubled as a quick salad dressing. YUM. I roasted up a couple chicken breasts real quick but you could easily substitute Rotisserie Chicken and it would be even easier. The trick is making sure you slice the chicken thinly enough that it’s nice and flexible and rolls well. 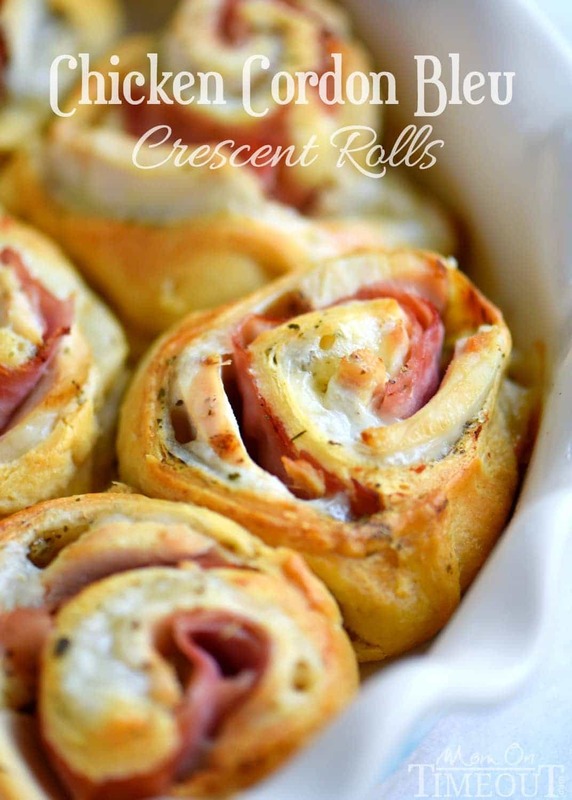 You make these just like cinnamon rolls using Pillsbury Crescent Rolls for the base. I layered on cheese, ham, and chicken and then rolled it up. Cut ’em, bake ’em, eat ’em! Dinner is served! 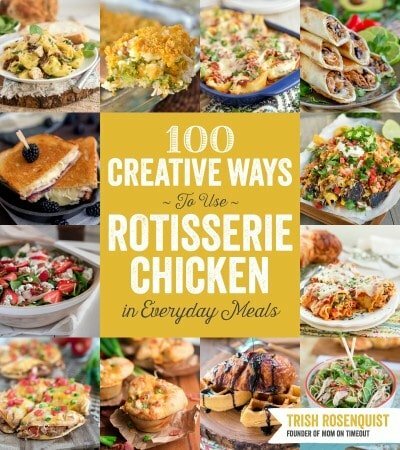 This delicious and easy recipe is one of several that inspired my new book 100 Creative Ways to Use Rotisserie Chicken in Everyday Meals. 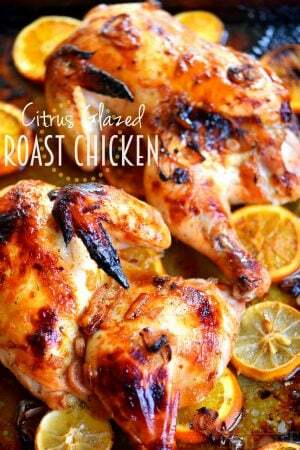 I love using rotisserie chicken to create meals that my family will love! You’ll find casseroles, bakes, comfort food, soups, sandwiches and more! I have an entire chapter devoted to meals you can can create in 20 minutes or less and another devoted to recipes with 5 ingredients or less. 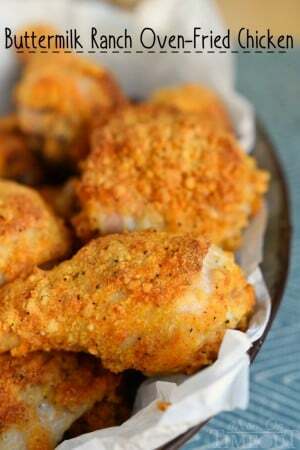 This cookbook is filled with simple and fast recipes that your whole family will love. Check it out! 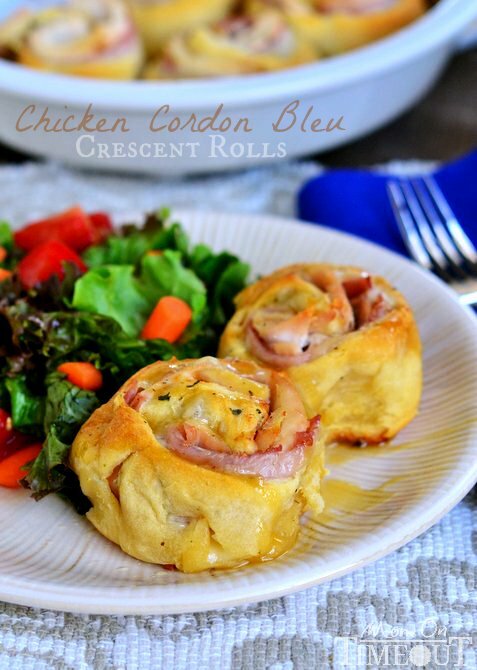 Make dinner easy and your family happy with these delicious Chicken Cordon Bleu Crescent Rolls! Just a handful of ingredients and about 20 minutes, and you've got a fantastic and satisfying meal on the table! Spray a pie pan or 9-inch baking dish with cooking spray and set aside. Remove crescent rolls from can and lay out in a long rectangle. Pinch the seams together well. 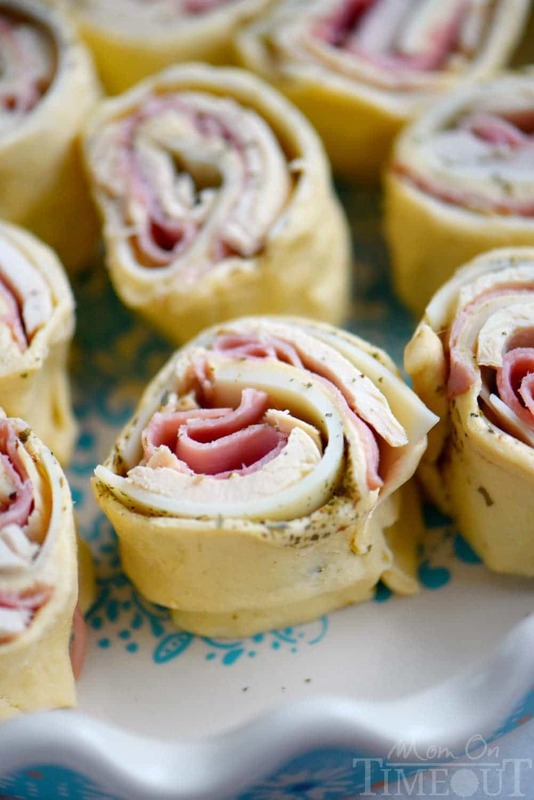 Layer first Swiss cheese, then ham and finally the chicken breast on the rolls. 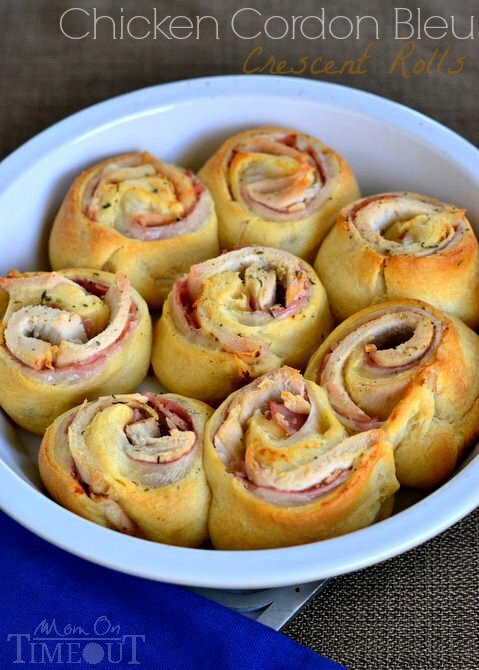 Roll up like a cinnamon roll and cut into 8-10 rolls. 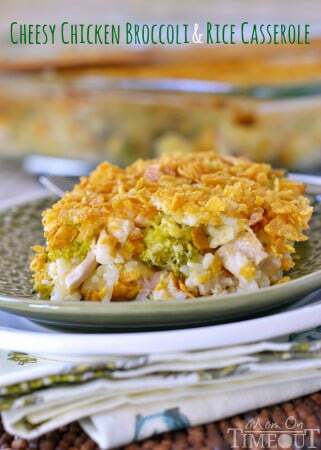 Place in a pie pan or 9-in square baking dish and bake for 18-20 minutes or until golden brown. Mix honey and Dijon mustard and serve with rolls if desired. to get the details idea.